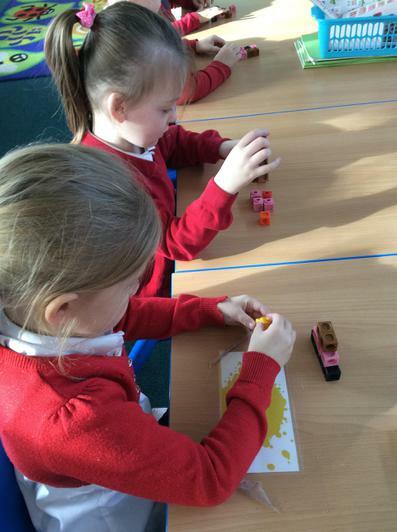 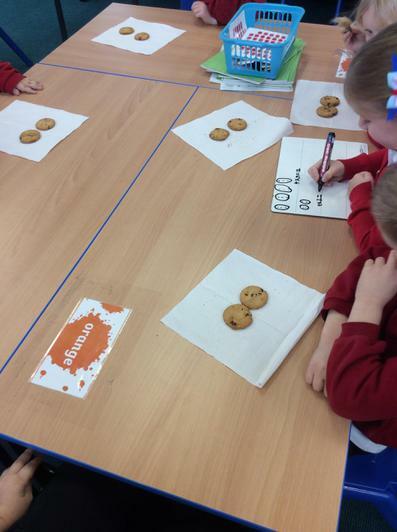 In maths, we started this week by thinking about what sharing is and what it might mean in maths. 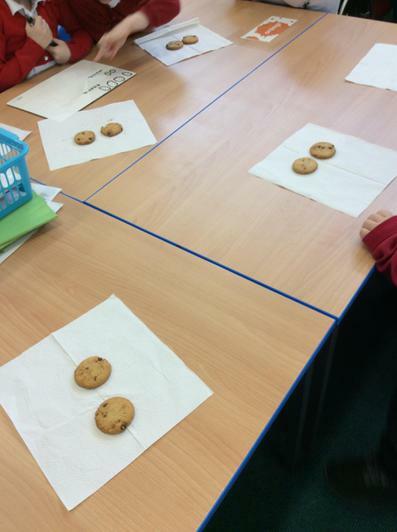 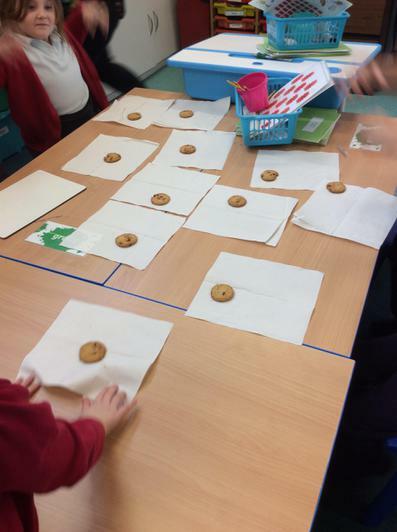 We were given 12 cookies in our groups and had to share them between different numbers of people equally. 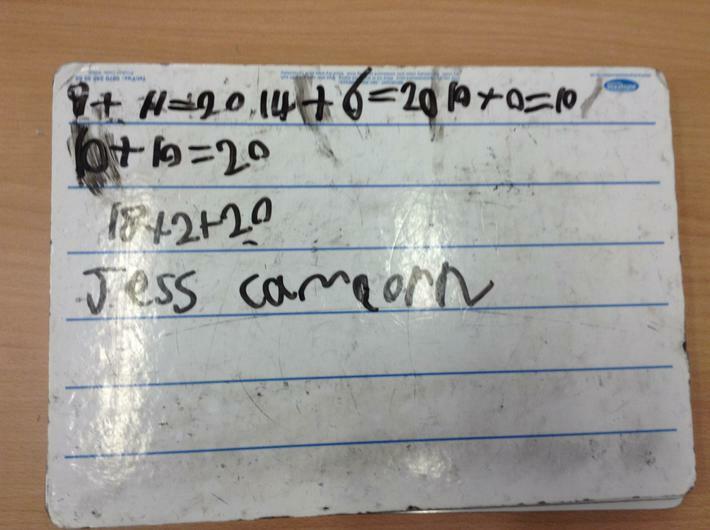 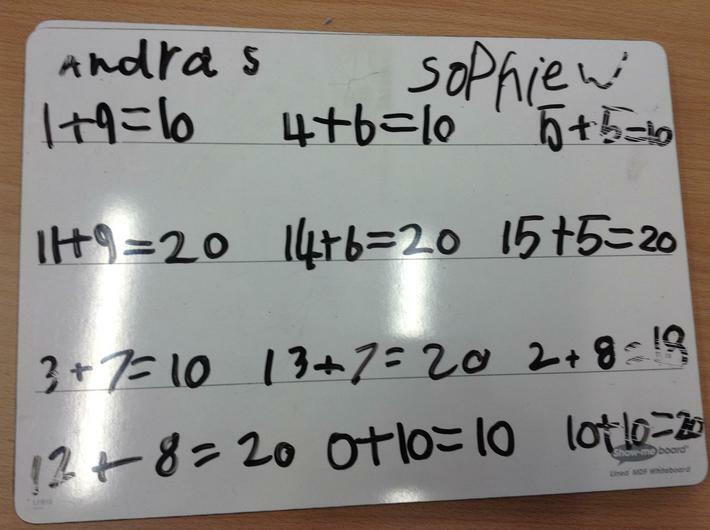 We had to use lots of explanation and reasoning to prove to Miss Shemming how we knew that they had been shared equally. 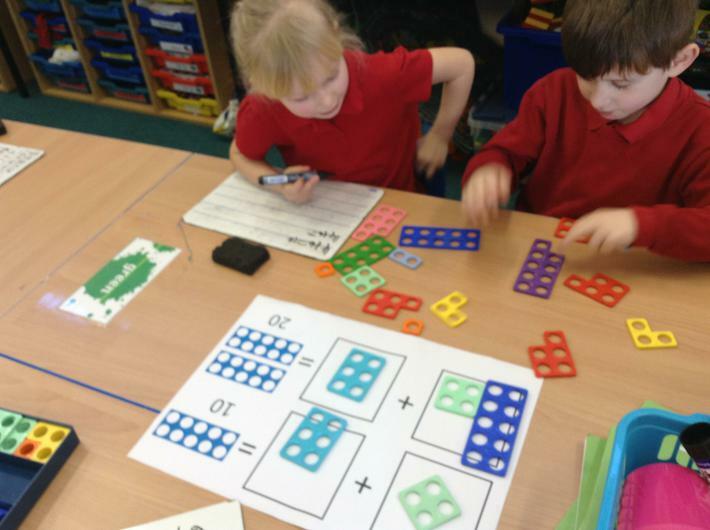 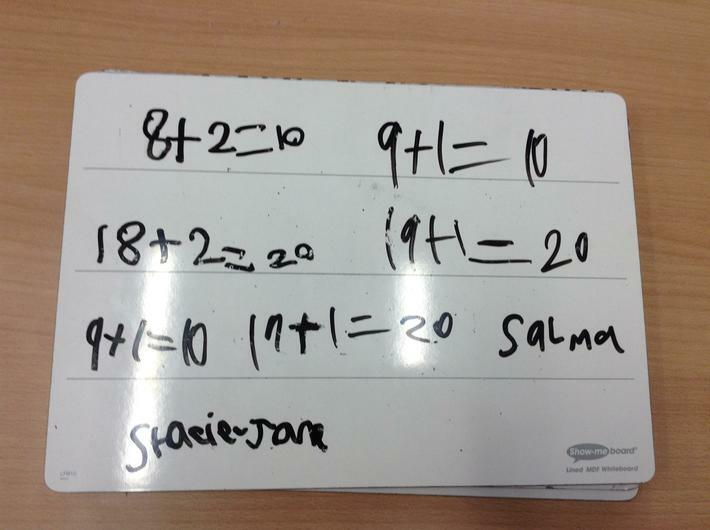 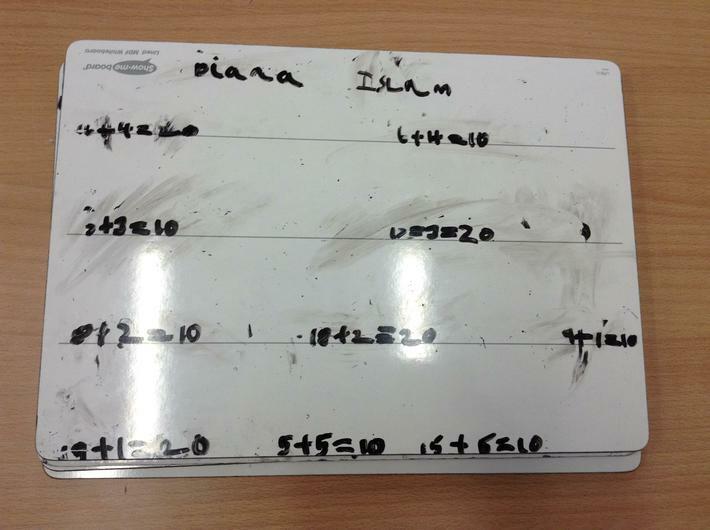 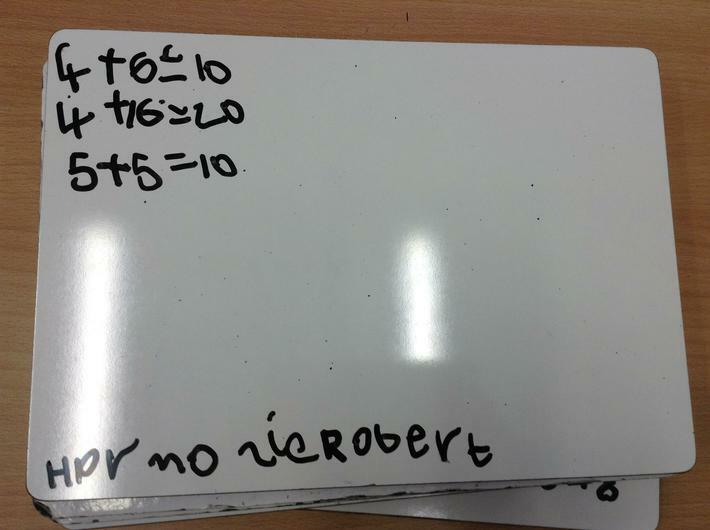 We then used this understanding to help us with halving and dividing into two groups later on in the week. 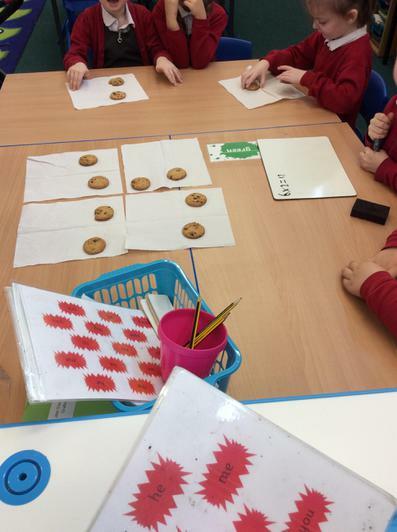 We learnt about the division symbol and how we could show halving as a division number sentence. 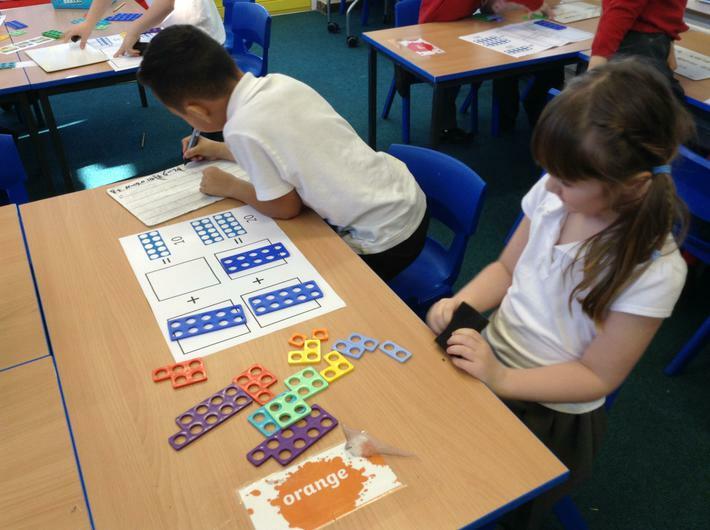 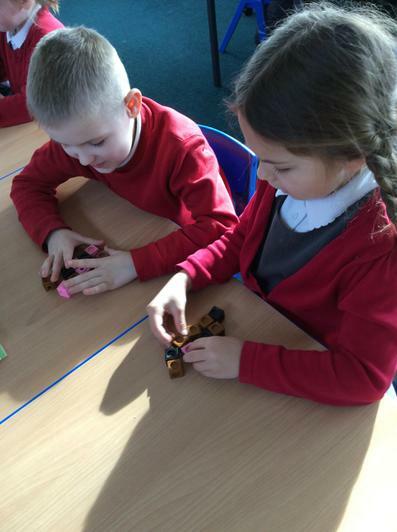 Can you remember what number we divide by when we half? 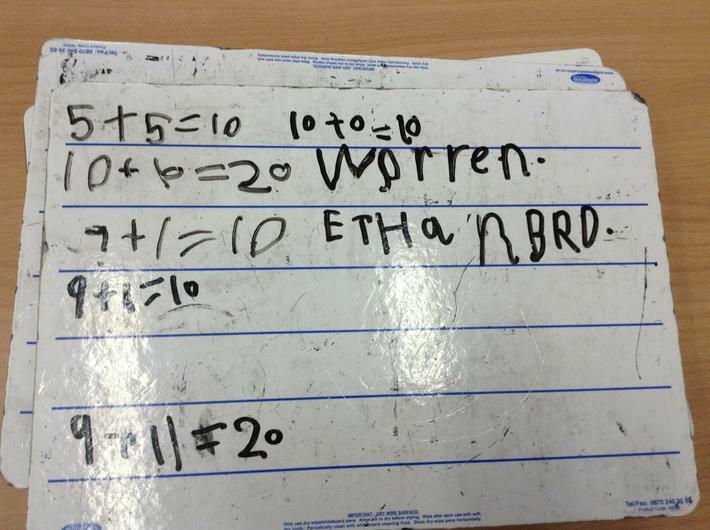 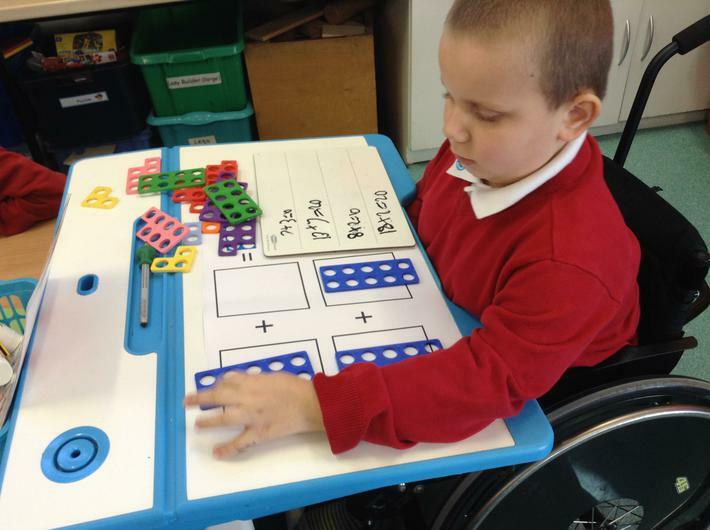 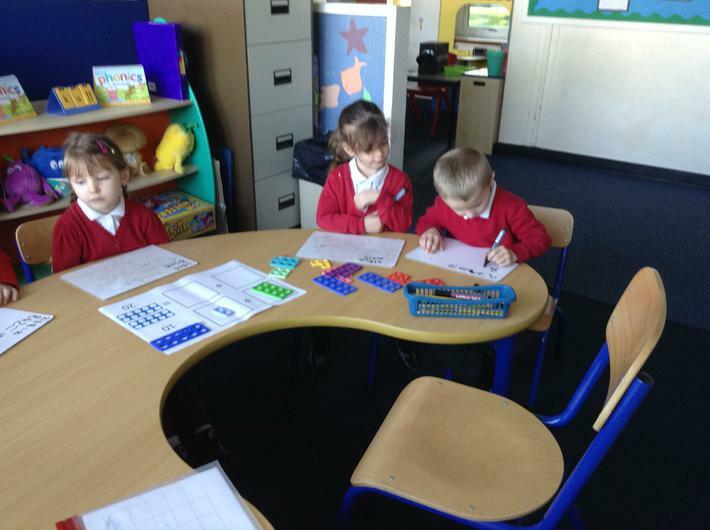 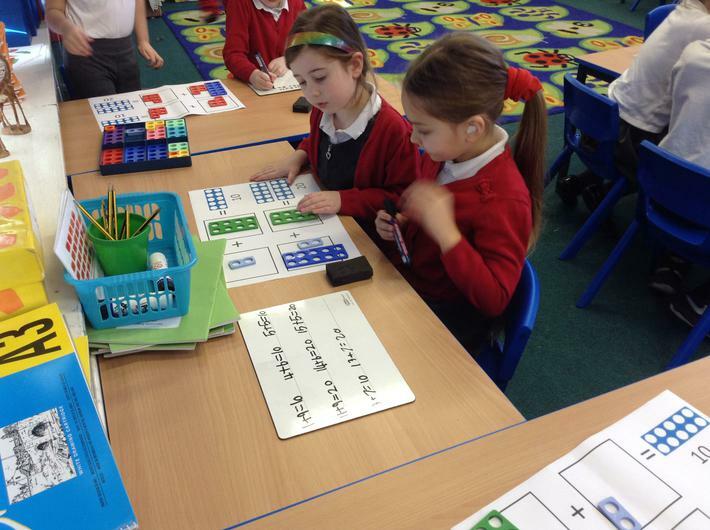 This week in maths we have started to look at number bonds to 20. 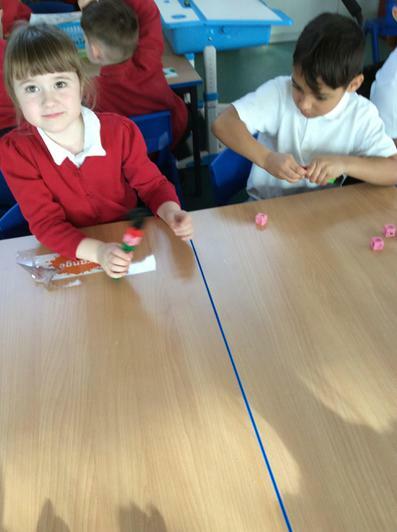 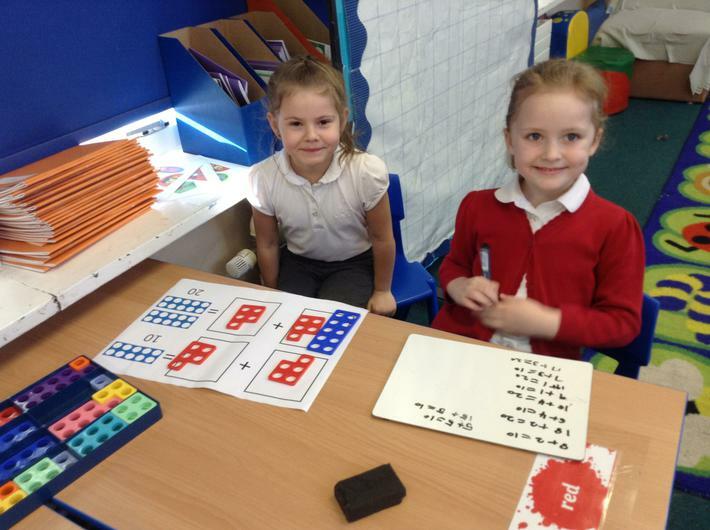 We have managed to use the numicon to make lots of number bonds to 20 and even managed to write lots of matching number sentences! 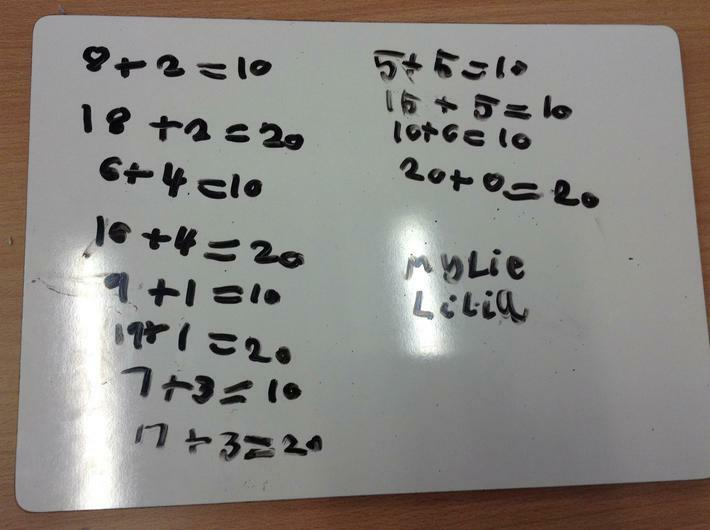 Can you explain to your parents how you can use the number bonds to 10 that we already know to find number bonds to 20?